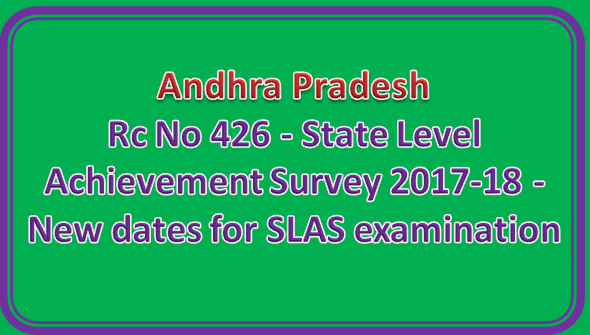 Sub:- School Education- Vidya Vikaasam program, AP SCERT, Andhra Pradesh - State Level Achievement Survey 2017-18 - New dates for SLAS examination - Orders Issued - Reg. conduct the SLAS examination on the following dates below. 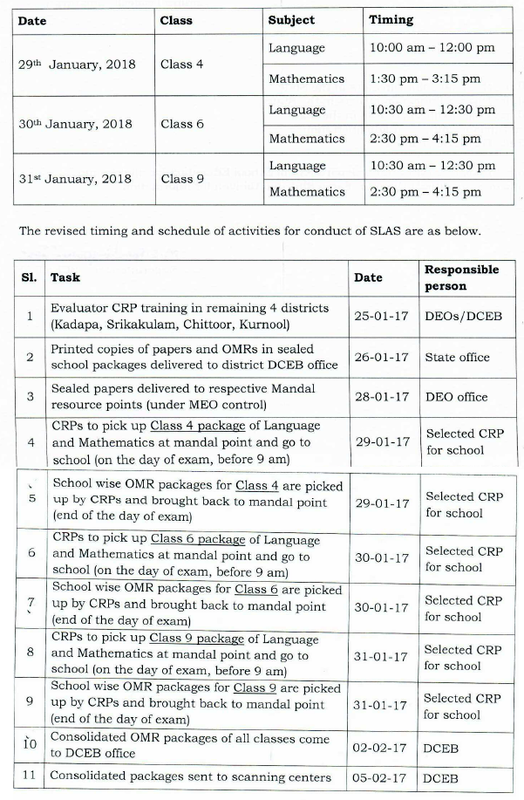 All RJDSEs, DEOs and DPOs of the state are requested to take note and ensure the smooth conduct of SLAS activities.